End of the year: What have I Learned? I started the year in a brand new grade and a brand new division. Before this I taught eight years of junior, going between grade four and five positions. 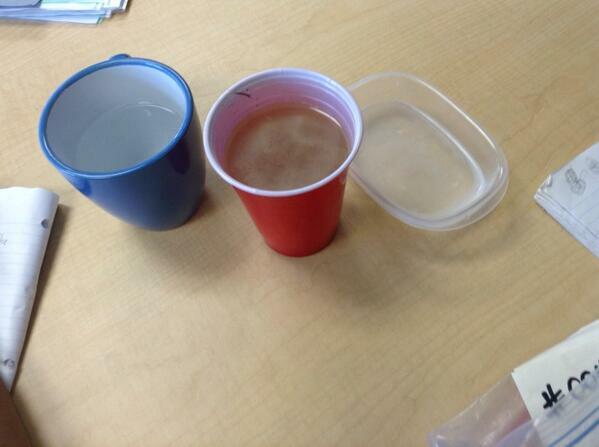 This year I am teaching grade two. My first impressions were, YIKES! I mean I didn’t know if I could handle the younger grades. But here I still stand and it has been an amazing journey, with an amazing class. 1) primary students take longer to do work. I know this may not be shocking news but I don’t think I was quite ready for this. I mean I prepared myself and I wrote plans to reflect this but it really didn’t truly understand. Now this actually was a big blessing in disguise. It taught me the importance of going deeper and slower. Because of this my students and I worked through constructing sentences, writing paragraphs, indepth inquiry projects. Math concepts were developed at the students pace. This feeling is a lot different then junior or even intermediate where the need and rush to fit all the dense curriculum is a lot of pressure. 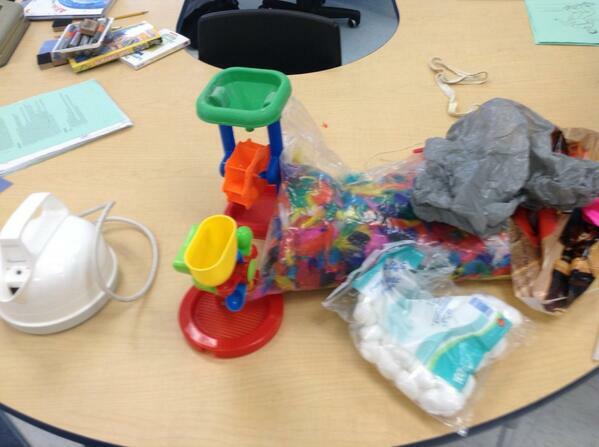 2) teaching primary has allowed me to focus on inquiry and really developing a inquiry model in the classroom. As I mentions above students work at a slower pace but that doesn’t mean they cannot do wonderful things. In fact it’s a lot easie because they still have this curious engagement in all topics. Some how this is lost on their way to junior and I think we need to bring it back. Inquiry has always been a big part of my teaching but this year I have really tried to allow the students to be a big part of the project design and questions. I have been using provocations, students I wonder statements and trying to flip projects inside out so that we start with a question and develop our understanding through that question. This is still a big work in progress so stay tuned. 3) even though they are young they are ready to be independent. One of the biggest pet peves of many junior teachers is that the students don’t seem to be ready to be independant. They rely on the teacher for answers, not patient with problem solving or just are not ready for success. I was also told by some that primary they cannot do certain things because they are young or small. Well I wanted something different and have tried to push these skills in grade two in hopes that they are ready for these junior years. Guess what they can do it. It took a lot of work and building with students but they are so capable of doing so much. 4) I think that all grades should have a primary mindset. Now I know that this gets harder as kids get older but the inquisitive spirit of a primary child is remarkable. It’s this spirit that we should be harnessing and using to teach our curriculum not the curriculum to teach our students. Now don’t get me wrong, curriculum is still important and it’s a great guide but that is all. We need to have more inquiry, where students are able to explore and develop understanding. By following this model I actually finished my curriculum ahead of the year and found that I had to give more challenges because the students needed it. If only all grades taught or allowed this to happen, think of the possibilities. 5) I actually like teaching primary, shhh!! I might ruin my image but it’s been a lot of fun. The kids are great, they have come so far and it truly has been a lot of fun. What has been the best part of your year? What learning have you done? Love to hear it. Author MrSoClassroomPosted on June 26, 2014 Categories grade two, http://schemas.google.com/blogger/2008/kind#post, ReflectionLeave a comment on End of the year: What have I Learned? Let me start this post with I absolutely love Genius Hour. I think that it is one of the best things that I have started this year. I believe this because it has allowed my students to blossom both in independent work and in academic work. My students have soared in reading, asking critical questions and in there academics. Before I get into wherei want to go let me tell you What it look likes. Right now, genius hour happens once a week in my classroom. I spend about forty minutes where the students research, whatever they have a passion about. Now it’s not just a free for all, my students have one goal, it must teach the class something. The students first submit a proposal, and then research, present and reflect. It’s been a great process; however, there is some tweeting I think I would like to do. 1) Though I should have done this from the beginning I think I need a wonder wall. My vision for this wall is to post students I wonder statements. Students can ethier answer their own questions or pick a topic from another students thinking. Once they have answered this, they can present the information to the class and post their work on the Genius Hour board, with the question attached. 2) I want to tie Genius Hour to a term monthly sharing process with the parents. The reason that I want to do is I have found that though my students have been come excellent researchers and explorers they have struggled to complete projects. Some have done a great job but others have really struggled to do even one. Having a celebration tied to the project will allow students (at least I hope) to have some urgency or a sense of planning to show their parents what they have done. I am also hoping that it will promote slightly deeper thinking into their questions and choice of topic. Just a few simple ideas but next year I hope they will support and improve this wonderful experiences that I have had with Genius Hour. Would love to here your thoughts on this or any other suggestions. I was lucky enough to be able to present at a GAFE summit in April on using google apps. To be honest and fair I knew about google apps but not really for education. Sure I used youtube for videos, I even used it to flip my classroom but was I fully using all of the capabilities; not even close. 1) I owned a gmail account and used docs, forms and blogger but sparingly. 2) YouTube was for the occasional posting of videos and searching for some really cool minds-on activities. After the summit I was inspired by all of the amazing things that teachers are doing with it. Two great colleagues are Rolland Chidiac and Scott Monahan, check out their twitter, blogs and google plus accounts. Not only are they amazing people to get to know but amazing ambassadors for google. I went right away to my principal and said I have to do this. Now you have to know that my board went Microsoft. Microsoft 365 is useful and well known but for me there is more than word. Also, want I like to say now is that what 365 wants to be, google already is. 1) My kids have easily become proficient in the use of many of the apps. They easily figured out how to create, share and copy any project. Some have started to use slides as a presentation tool and some have explored google draw capabilities. Now I think all would be able too but some just haven’t explored the program enough or have an interest in tech. Though more are coming around as we use it. 2) Even though I am pretty tech savvy, I would say that it is really user friendly and easy for anyone to use. I know the names may seem out there (forms, Gdocs, slides, doctopus, goobrics, etc.) but it is really seamlessly integrated and user friendly. 3) What I didn’t know there was videos, training and great people to help me along the way. This brings me back to the amazing people in my PLN. I have connected with truly amazing and helpful individuals. Not only that google for educators has a great website: http://www.google.ca/edu/ and amazing hashtags to follow are #gafe or #gafesummit. 4) It really opens up the classroom for collaboration and practical formative assessment. For example, I was in an OFIP (in school PD) and I had my kids working on their docs. While in the session I was able to monitor my students work, comment on their progress and give them feedback in real time. Another great example is the ability to share work and comment as we go. Many of my assignments are now on Google Docs. The students can share them with me at any time and I can comment on them at any time. Also, when I finally mark them I attach a Goobric (its a rubric) to them and students have a chance to resubmit. The nice part is the rubric stays with the document and you can attach a brand new one to it. Not only does it allow you this feedback but these rubrics are kept on file for you in your drive. 5) Great programs and amazing storage. This is just a nice bonus but you also get 30Gb of storage which is a far cry from the 8 I get with 365. Google also works with any of our devices, so when I am with the iPads in my literacy centers or on netbooks or chromebooks my students have access to their drive. 6) Reflection and online portfolio: Now that everything is in the cloud, students will have access to their work for their school career (or for me as long as they are in the school). When they leave they can create their own space and transfer these docs to that new account. Now students have a real look at their learning and progress from Kindergarten to whenever they graduate. Talk about reflection and portfolios. As you can tell I am really impressed with Google for education. If you haven’t checked it out I encourage you to take a look and try it. It is really week three but I am a little behind. Just to recap, I gave my class a challenge to create a game for students to play within Minecraft. Our real hope was for them to actually program but it is taking us a lot longer then we originally thought so we are just having them create three worlds to showcase their learning of conservation of air and water. The first world is all about conservation, the second is on pollution and the third is a choice but must be on a water issue. The project is in it’s gaming phase (as I would like to call it). Students have completed their plan and are starting to make their plan a reality in the minecraft platform. 1) students need to plan: I am all for creative play and working through problems but what I have been finding is that the students are way to excited about showing me what they can create that they really are not completing the task. In the middle of the week I made sure that the students had a plan using their google documents. This is linked to iPads and can be checked regularly. We are also using it to share information as the google doc allows us to write more information on the topic nd share the link. Planning also allows students to make goals and reach them. It allows them to self regulate and check their progress. 2) students are highly creative moreso then what the game may allow them. We have had to have a lot of conversation as students thoughts cannot be easily translated in the game. 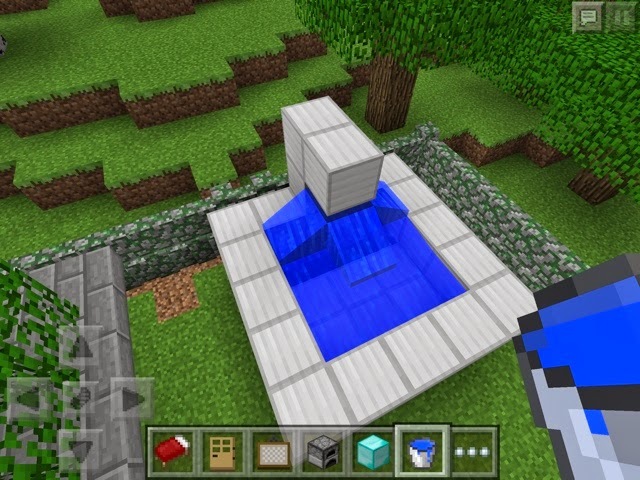 For insistence, some students want to create pollution in the water, this is really hard in the game but my students used chickens and had them floating. Now if I didn’t talk to them all I would see was chickens. The dialogue that we have had is the key to seeing their understanding. 3) this is a longer process then I originally thought: we originally planned three weeks for the project but it has taken the students a lot longer than this. Now this could be we didn’t have a solid plan, they are in grade two, or it really takes this long. 4) as always you the teacher are very important in this educational process. I know I have said this before but as a teacher, even though the kids are exploring, it is our job to guide and direct. I am constantly asking questions about what they are doing, why and how it works. You are redirecting were needed and assisting them when they need it too. This has help with the process and keeps the project moving. Overall, I know many of studied the impact that gamification has on students but from our two weeks on it, I am sold. This is because it has taught my students problem solving skills, it links many strands together, it gives voice, formative assessment is automatically built in and it’s a lot of fun. Stay tune for more reflections. I would like to think that I teach through Inquiry. I really try to keep all of my work about the kids and their thinking; however, I do find myself still leading discussions more than I would like. 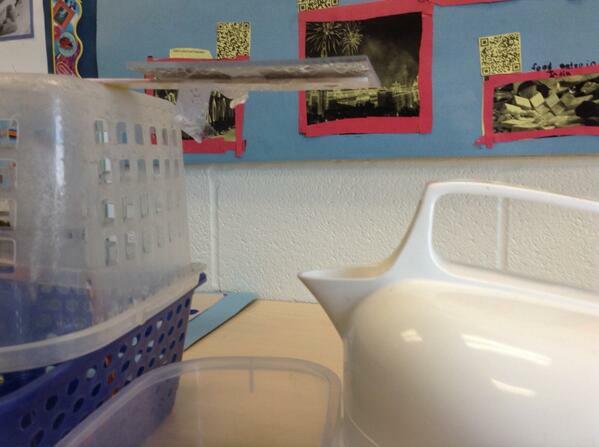 Then I learned about provocations. WOW! I know that I have previously blog about this subject but since that time I have tried to use them more. Today in science I did just that (at least I hope I did). Here the students were so engrossed in what was happening that they didn’t even notice me. They were saying, “cool look its raining!” They were also using the vocabulary that we have been building before this through our watercraft project. 1) Inquiry (true inquiry) is allowing planned exploration. 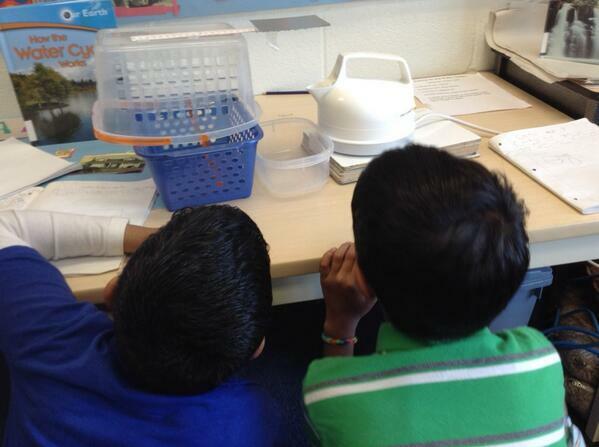 Students really need time to explore and make observations about the subjects. 2) This takes a lot of planning. I been planning this for some time now (many thanks to my amazing PLN for their help in this). As I have been planning I had to think about questions, get all of the materials ready and even think about possible misconceptions. 3) True assessment. 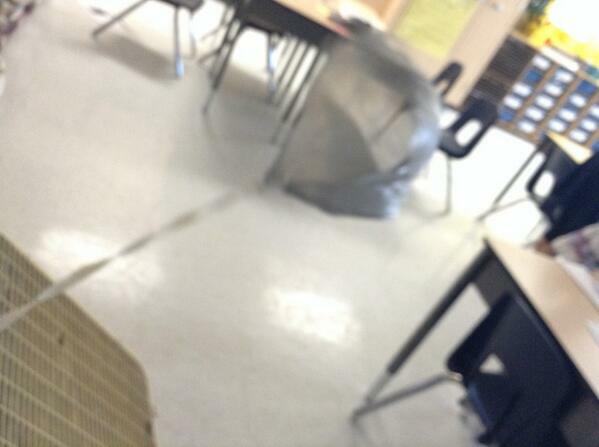 I was amazed at what the students had absorbed through previous books, the Watercraft project and our discussions. So if you haven’t done provocations before, give it ago. Its a lot of fun and you would be surprised at what you will learn about your students.